What is the real novelty of a research paper? How do different researchers contribute to innovation? And does this change throughout their career? 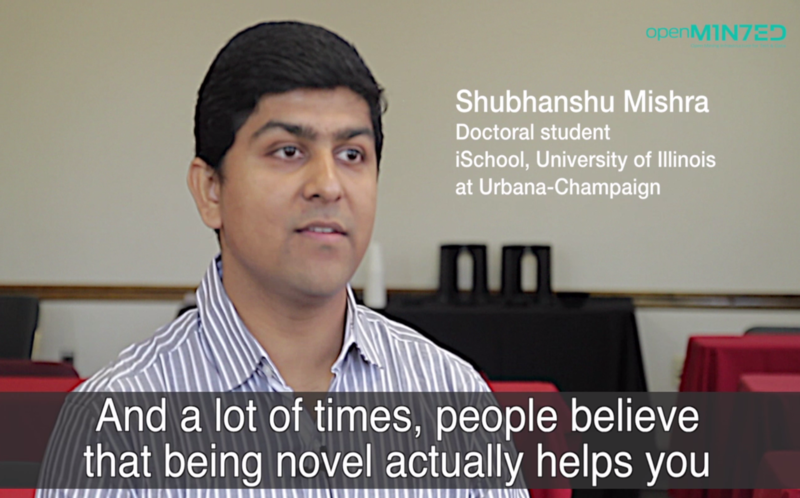 Shubhanshu Mishra of the University of Illionois uses textmining techniques to study the novelty of biomedical articles. We are sitting on this goldmine of scientific knowledge, which is being produced at an exponential rate every year. And it’s very hard for people to actually go and manually work out the patterns in these datasets, which are of the scale of millions and billions. And I think that’s where data mining can help, and especially textmining techniques can help a lot.